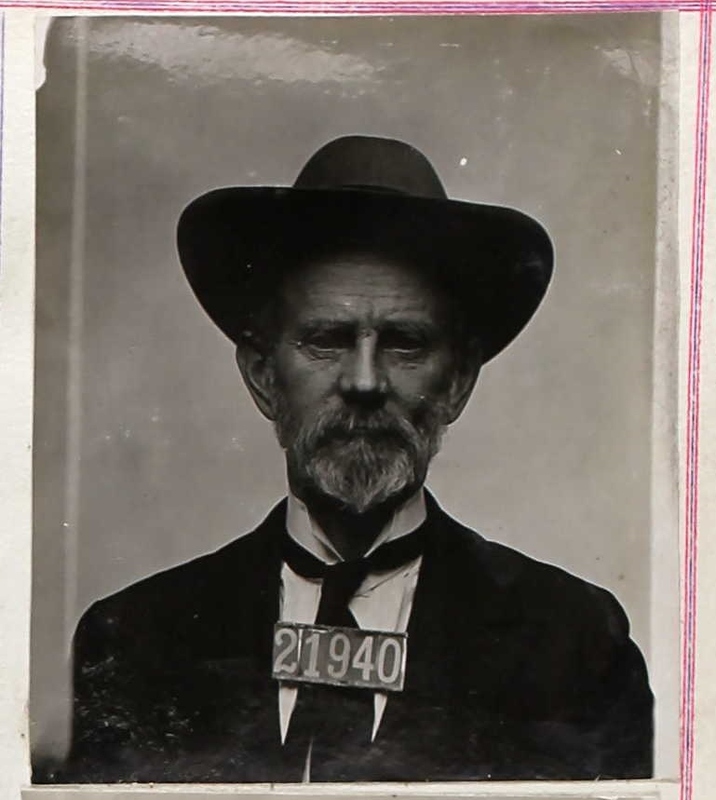 PRISONER # 21940: Were You Married to My Cousin? Greetings Stewardson relatives! It has been a terribly long time since I posted on this blog! My intentions were to post more on this blog than the other (http://grandmaspicturebox.wordpress.com), but you know what they say about good intentions …. William Stewardson, our initial immigrant ancestor (from Little Asby, Westmoreland County, England to Albemarle County, Virginia, and then to Nelson County) was married twice. His first wife was Elizabeth Gibson, and our branch of the family is descended from James, the oldest child of this marriage. However, the people who have captured my imagination lately descend from William’s second marriage, to Sarah Wingfield. Following William’s death in 1851, Sarah eventually moved to Missouri, and lived with two of their sons. One of those sons, John Walker Stewardson, married Martha Hawkins, and they had a daughter, Nettie, who was born in 1871 in Missouri. Nettie married Richard B. Maughs in Callaway County, Missouri in 1896 (I found a marriage record online to confirm the names, date and place). They had three children: Jesse, born 1897; Mattie, born 1899; and Wilmer, born in 1902. At some point between 1902 and 1910, either Nettie and Richard divorced, or he just left. I can’t find any of them in the 1900 census at all, but in the 1910 census, Mattie and the three children are living in Charlottesville near her parents (John and Martha), who had moved back to Virginia at some point between 1880 and 1900. 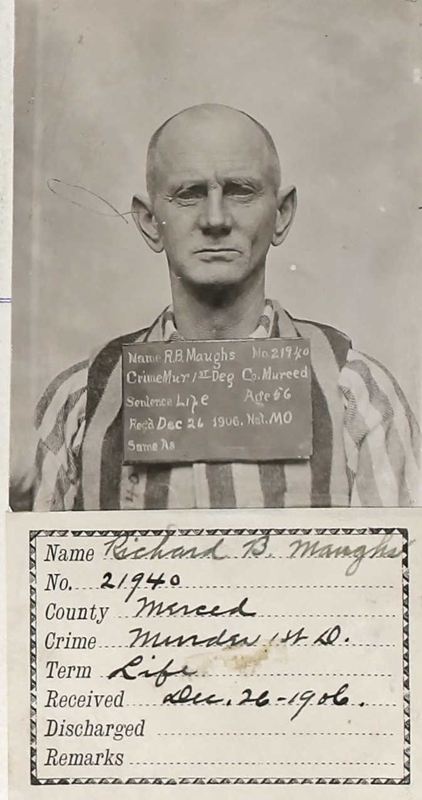 All of the information I can find on this Richard B. Maughs says he was born in Missouri and articles reference a wife and children in Missouri, so he seems to be Nettie’s husband … but I’m still not certain … more on that below. Meanwhile, back in Charlottesville, Nettie and her kids aren’t having such a great time, either. To hit the highlights, Jesse and Wilmer are teenagers when they are accused of accidently killing a neighbor by throwing a rock and hitting him in the head (the neighbor was accusing them of stealing from another neighbor); Mattie dies in 1915 (only 15 years old) when she tries to light a fire in the stove using kerosene; and in 1923, Jesse kills his brother, Wilmer, by shooting him because Wilmer was wearing Jesse’s overcoat as he was leaving the house to go and join the Navy. Jesse is arrested, tried, and convicted of killing his brother, and goes to jail. At some point – and I’m guessing it was probably after Jesse killed Wilmer, but I’m not certain – Nettie attended law school at the University of Virginia. Her name is in the 1924 volume of “The Corks & Curls,” a yearbook for the law school. I’m hoping to find information about her time at UVA – in 1924, Nettie was 50 years old. In 1924, not a lot of women attended law school, much less 50-year-old women. Based on newspaper articles I found online, it appears Jesse was in trouble fairly regularly over the years. He was caught stealing at least twice, but Jesse was a creative kind of guy … he sued one of the witnesses against him for testifying falsely. The Judge was apparently irritated enough to have Jesse committed to the state mental hospital, but he was eventually released and sent back to jail. There are several newspaper articles from the 1920s that reference Nettie appearing in court with Jesse (“his gray-haired mother”) and filing a couple of things on his behalf, but none saying that she actually represented him. Through a couple of newspaper websites (GenealogyBank.com and Newspapers.com), I found several long letters Jess wrote to the Richmond Times-Dispatch over the years. When I say “long letters,” I mean looooonnnggg letters – he tended to rant. Jesse wrote in November 1939 to state his opinion that the US should not go to war with Germany, because England owed the US money from “the last war,” and England was only interested in taking over Europe, and the US should immediately annex Canada (you can’t make this stuff up). In 1966, Jesse wrote to argue the point that, contrary to another reader’s contention, seminaries do receive public assistance, in the form of tax breaks – “Probably you overlooked the taxes, but how you could, I don’t know, as taxes are now reaching from the earth to the moon.” In 1967, he wrote at length about the debt English literature owes to Egypt. One letter from 1972 asks the Charlottesville police force to stop using brute force on college-age war protesters and instead use those cops to keep “young hoodlums” from “policing the streets at midnight, damaging property, molesting mourners in cemeteries, [and] knocking over tombstones . . . .” Yep … it seems Jesse was quite a character – however, the newspaper must have enjoyed hearing from him, because they published several of his letters. There are also links online to a Virginia Supreme Court case involving Nettie: Maughs v. Porter – apparently, Nettie (“Mrs. N. S. Maughs”) entered a drawing for a car, and her ticket was chosen, but she never got the car, and sued. This case is quoted fairly regularly in online articles about lottery case law up through the 1970s … I wonder if this situation was the reason she went to law school? I also wonder if Nettie actually practiced law in Charlottesville. I haven’t found any evidence that she did, but there is a lot more research to be done. Nettie died in 1963, just short of her 93rd birthday … there was a short obituary listing her as the “widow of Dr. Richard B. Maughs” … wait, “Doctor” ??? This was news, and makes me doubt the other information about the California murder, but I cannot find ANYthing about a doctor names Richard Maughs, either in Virginia or in Missouri … or anywhere else, for that matter. I’m hoping Nettie’s college records may have some reference to either her husband or some other tidbit of information. Also, the obituary had to be written by Jesse, so maybe he just lied? Jesse died in 1983. I found one last newspaper notice about an estate sale in Charlottesville following his death, but no obituary for him. So … the saga ends here. Nettie’s daughter, Mattie, died before she could marry and have children; Wilmer was killed by his brother before he ever had children; and there is no evidence that Jesse ever fathered a child. So … no descendants, no one to confirm ask about whether there was actually a Dr. Richard Maughs or whether the man in San Quentin was Nettie’s husband. I’ll keep searching, but I would love to hear from anyone who might know more. Jimmie Meace Shelton – Happy Birthday, Grandaddy! He died in 2004, but I could have sworn it was only a couple of years ago. That’s how big his presence still is in my life. Grandaddy was the son of farmers, born in Pittsylvania County, Virginia. His father was a farmer, and his grandfather was a farmer. His grandfather, James Crewe Shelton, fought in the Civil War, although I never heard Grandaddy mention it. They were all descended from a rather prominent pre-Colonial Virginia family, who came over from England (as best I can tell) in the 1600s. Grandaddy never mentioned that, either. By the time Jimmie and his siblings came along, the Shelton family was pretty spread out and most were just salt-of-the-earth farmers, making a living for their families. Jimmie was not even 10 when his father died, and eventually left school to help make ends meet for his family. I don’t really know that much about him as a very young man – I know the Great Depression came along and he had to leave his immediate community to get work, and that he was part of the Civilian Conservation Corps formed by FDR in 1933 to help young, unmarried men find work and send money back to their families – of the $30 per month they made, $25 was sent directly to their families. Grandaddy always thought Roosevelt was the greatest man America ever produced, and I can understand why he felt that way. In 1934, Jimmie married Irma Frances Elliott, and they lived for a while in Prince Edward County, where my mom and her two brothers were born. The family eventually moved to Richmond; Grandaddy became a long-distance truck driver; they moved to Vinton, Virginia, and later to Farmville. 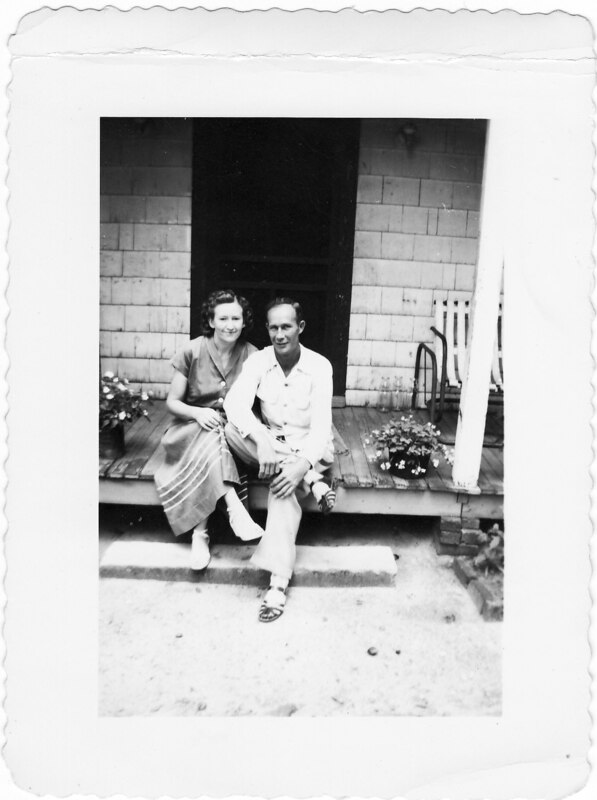 They were building a house in Gum Springs, Virginia, when my grandmother died, and Grandaddy lived in that house until just before he died. Lots of names, dates, places and history … and while all of that has a lot to do with what Grandaddy’s life was like, it doesn’t really tell you anything about who he was. Jimmie Shelton traveled a lot because of his job, and saw a lot of this country during a turbulent time – the 1960s. But he loved this country and took it very seriously. Jimmie Shelton was a fantastic gardener – I think that might be the thing that all of his grandchildren remember first. I remember his tomatoes — sweet, juicy, warm from the sun, and plentiful. So plentiful, in fact, that one summer I ate so many I got a rash and had to give them up for a week. He would experiment, too – for some reason, I remember the year he attempted to grow Swiss chard. I think the name was funny to him, and then he discovered he loved the greens. Jimmie Shelton had perhaps the healthiest digestive system I have ever known. I know, weird, right ? But I remember that he always took his time over every. single. bite. of every. single. meal. Savored it. Actually tasted it. I don’t recall ever seeing him gulp down something in a hurry. And I remember that with almost every meal – at least, every meal over which he had any control – he ate a small red or green hot pepper. And? The man never once had indigestion or heartburn. Go figure. My Grandaddy loved to laugh. Loved a silly joke, loved a funny story, and loved to surprise people with goofy gifts. Christmas Eve with my extended family almost always involved a very oddly-shaped vegetable given to one of his sons or to my dad or step-father – or maybe some weird thing he picked up on his travels that he found funny. Grandaddy loved music, and had a high tenor voice that could make you cry. 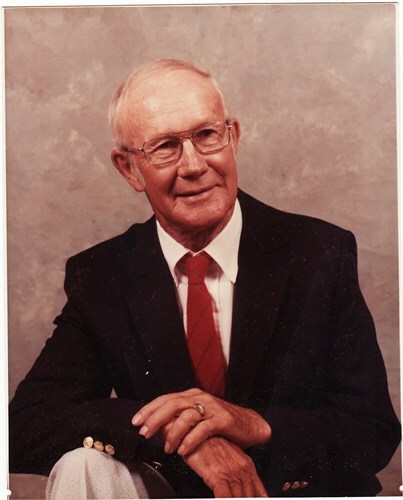 He loved Johnny Cash and Hank Williams – Senior, if you please, not Junior … he didn’t have much nice to say about Hank Jr.
Jimmie Shelton loved his family, more than almost anything. He had some issues as a young man that came between him and my grandmother for a while, but by the time I came along (their first grandchild), he and Grandma seemed to be real anchors of the family to me. He was so very proud of his children, and reveled in his grandchildren. He would have given any of us anything … you know, he actually did … he gave us everything. Like I said … he gave us everything. 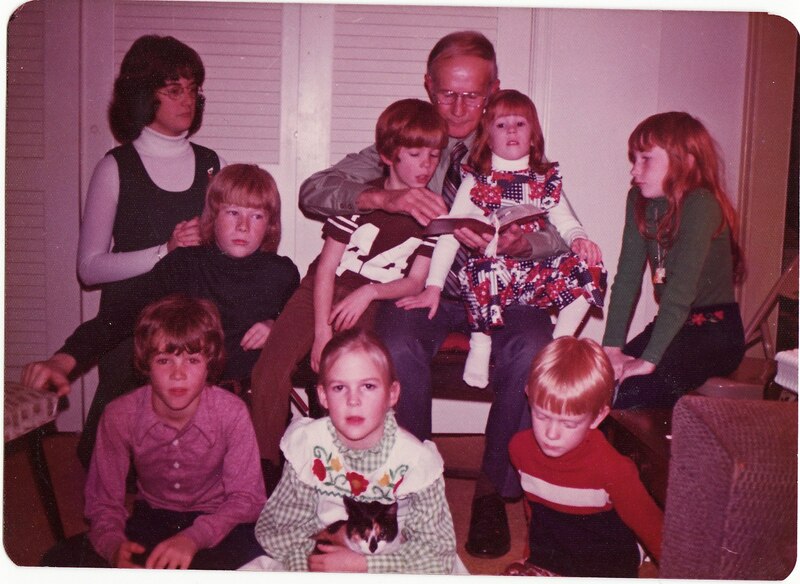 Happy birthday, Grandaddy … we miss you. Some ornaments must be hung in specific places – in front of a light, deep in the tree, near the end of a branch – for best effect. If you don’t put them in the right place, the tree can look wonky. Similarly, you can’t force an ancestor into your tree in the wrong place. Don’t try to make your Uncle Jim his own grandfather. Watch those dates. And if great-grandmother Mary lived in Rockville, Virginia all her life, but isn’t there in the 1900 census, you have some investigating to do! Don’t assume she was just left out. Maybe she was in a place other than the one you expect. 2. Sometimes, the old, cracked, and broken are the most interesting. Sure, all the pretty ornaments are great, and can make your tree look quite elegant. But the most meaningful are the old ones, which are gonna show a little loving wear and tear. Memberships in the DAR and the First Families of Virginia are terrific – good for you! But come on, the story about your great-aunt’s first husband getting shot in a card game is way more interesting (true story from a friend’s genealogy). 3. There’s always gonna be a blank spot you just can’t fill. No tree is perfect. The branches don’t always form a perfect pyramid for you to decorate. And you don’t always have an ornament that just fits that weird gap. I have two of those gaps in my family tree (known in the genealogy world as a brick wall, but that term doesn’t fit my Christmas tree metaphor). Keep searching … somewhere, someday, you will find the perfect ornament for that spot. 4. Don’t ignore the back of the tree. Unless your tree sits in the center of your room, you are surely tempted not to decorate the back. Who’s gonna see it? Remember, though, that trees aren’t solid things. You can see through the branches to other branches, and light shines from the back to the front. Sometimes, bits of information you deem unimportant can cast illumination on something that’s critical to your immediate search. Don’t ignore any of it. 5. Sometimes, you have to start all over. Last Tuesday, I came down with bronchitis. After spending the better part of three days in bed, I came downstairs to find that all of the lights had gone out on our fully decorated tree, except for one strand in the back on the bottom. My poor husband has been working in overdrive, taking care of me and several projects from work, so I just couldn’t ask him to do anything about it, but I was crushed. Finally, yesterday afternoon, I dragged myself off the sofa, un-decorated half the tree and found the dead strand. We re-strung a working strand, and ta-daa! Lovely tree once more. Had to re-decorate, but it’s all pretty and sparkly again. I think my metaphor is clear here, yes ??? 6. Some of my ornaments are really goofy, but I love them. Garlic ornament – yes, garlic! I have several ornaments from a unicorn phase in my twenties. I also have a bunch of Dallas Cowboys ornaments … what?? You know you have your team on your tree somewhere. Our family has a beloved ornament that is a horse’s … ummm … rear end, painted on a big sand dollar. But every one of those ornaments goes on the tree every year, because they are MINE! They represent who I am, and who I was, and where I was, and who loved me enough to get me something small when they were on vacation. Likewise, my family tree may not be dramatic or noteworthy, but they are mine. Salt-of-the-earth farmers in Virginia, some of whom fought for their country, and some who just lived basic, everyday lives. Nothing shiny or sparkly, but very special to me. 7. My grandma’s ornaments are my favorites. No real genealogy point here … just the warm feelings I get when I look at the three ornaments my grandmother, Irma Frances Elliott Shelton, made for me. The question of where I am from isn’t just about a geographical location. I think it is also about the various influences that create the person I am becoming (yes, at my age, I am still “becoming”). Those influences include such things as food, religion, education, hobbies, travel, and even music. Maybe music isn’t as much of a “from” for other people, but it certainly has been for me. I come from a family that loves music, especially on my mother’s side. Mama sang to us as young children, we all sang in choirs at church, I was in chorus in high school, I took piano lessons forever …. I just don’t remember a time when music wasn’t a part of our lives. At home, what you listened to depended on where you happened to be standing. When Daddy had a project, I could wander into his work shed and hear the local country music station – Loretta Lynn, Merle Haggard, Johnny Cash, Porter Wagoner, Kitty Wells. Inside the house was a different story. Mama had albums from The Mamas & The Papas and Glen Campbell, while back in my room, Bobby Sherman, the Osmond Brothers and The Partridge Family had taken up residence. Later, I invited in Olivia Newton-John, Rita Coolidge, Barbra Streisand, and a K-Tel album that introduced me to Eric Clapton. My high school boyfriend listened to Deep Purple, Jethro Tull, and The Who’s “Tommy,” but I was also listening to Heart and The Eagles and Linda Ronstadt. Somehow, I discovered Broadway, and the soundtrack for “A Chorus Line” can still bring out the aspiring gypsy in me. Along came disco, and things got weird for a while (however, I am still grateful for “Boogie Shoes”). The 1980s brought me to a new wave of country (Willie Nelson, “Urban Cowboy”) and the CDs I bought in the late 80s and early 90s range from Clapton, Elton John, and Rod Stewart to Bette Midler, Mary Chapin Carpenter, and k.d. lang. I think I officially “aged out” of pop music at some point in the 1990s, and here in the 2000s, I find myself drawn back to older music, although from new voices, like Michael Buble and Harry Connick, Jr. “Someone To Watch Over Me” will put Jim and me on the dance floor every time, even where there *is* no dance floor. These days, my car radio is set on the 1970s station, and I personally believe that if you don’t turn up “Born To Run” or “Born To Be Wild” when you are in your car, you should have your drivers license suspended. So how does this have anything to do with “where I’m from?” I can only answer that music has always been a huge part of my life, and a song can take me right back to a specific moment in time. Elton John and Bette Midler eased my transition from Richmond to Atlanta after a broken heart. 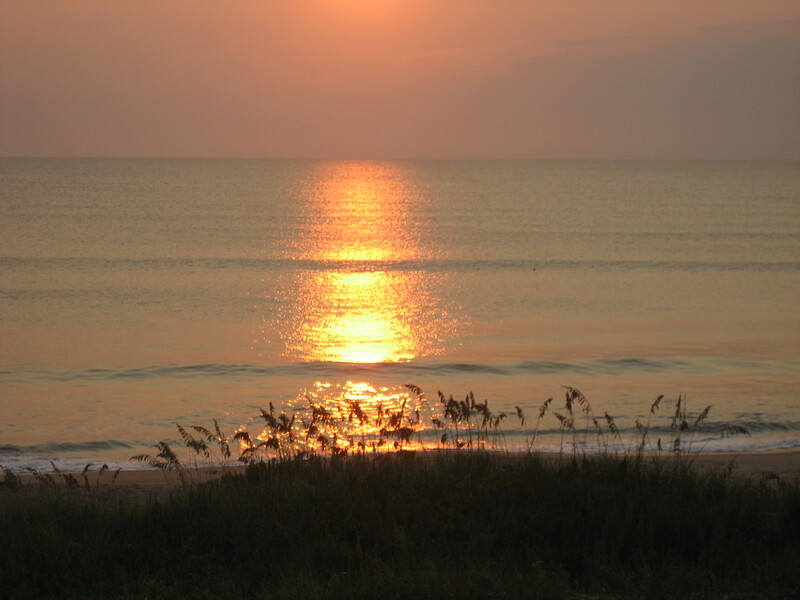 Willie Nelson and Waylon Jennings accompanied my mom, my step-father, my sibs and step-sibs and me to the beach on many long weekends in the Outer Banks. Stevie Nicks and Ann and Nancy Wilson showed me that girls can rock and roll, too. And that “high lonesome” sound of Hank Williams Sr. puts me right back under a big ol’ tree at my mother’s Aunt Mamie’s house, at a family reunion. Picture a table absolutely groaning with food (note to self: another blog post waiting to happen), children and adults playing horseshoes and softball, kids in trees and on (and under) the front porch, a field lined with cars … and after we ate, a group of folks sitting around with guitars, with a banjo and (I think) a mandolin thrown in for good measure. I knew things were getting good when the instruments came out, and I was right. The musicianship was amazing, and the harmonies were tight. In my memory, one song flows right into another, from folk to country, and they eventually got to the good stuff – the gospel songs – and every song was true and right. I can still see their faces as they sang, and as I look back from the vantage point of adulthood, I see that those songs felt like that because the singers knew the One they were singing about, personally and without doubt. When they sang about “a closer walk with thee,” it was because that’s what they really wanted. When they sang about the “old rugged cross,” it would make you cry. And when they sang about the circle being unbroken, it was. That circle is where I’m from. That’s my family’s genealogy. I can already hear what some of you are asking – your family is from Virginia, you don’t even research at the Georgia State Archives … why do you care if they close? 1 – I’m a citizen of the state of Georgia, and have been for over 25 years. What happens here affects me. 2 – It isn’t just genealogical information that will become unavailable, although that would be a disastrous blow all by itself. Tax information is stored at the Georgia State Archives, along with land surveys and the legislative record. How would you search a land title with the archive available to you for only 2 hours, by appointment only, and with only one person to assist you in locating the records (the proposed “compromise”)? And what about government transparency? 3 – Georgia would become the ONLY state with no open archives – that’s just plain embarrassing. 4 – The Official Code of Georgia MANDATES open records – it is the law. The law. This article, written by Vivian Price Saffold, a board member of the Georgia Genealogical Society, sets out the issues much more eloquently than I can. So please read her comments, and then contact the governor, the Secretary of State, and your state representatives and senators, and let them know that closing the Georgia State Archives is simply unacceptable. It is Saturday morning. People are enjoying the first day of autumn. For many people it was a day of football games, yard work and relaxation. Others – professional researchers and amateur family sleuths – are in Morrow at the Georgia Archives. They arrived before the doors opened at 8:30 a. m. and will leave reluctantly at 5 p.m. They are working frantically to take advantage of one of only two days available to them. After today there are five more Saturdays until Nov. 1, the date Secretary of State Brian Kemp has set for the closing of the Archives to the public. Yes, Secretary Kemp said people would be able to get into the Archives by appointment. That was the day before he announced that seven of the 10 employees were being terminated. Remaining are the director (who came to the Archives from Alabama in May), the building superintendent and one excellent, veteran archivist. That means there will be one person who knows the collection well enough to handle research questions effectively. Research in Georgia requires access to the Georgia Archives. Many of the records cannot be found anywhere else. Thorough research takes time. How many people will be lucky enough to get appointments? How long will each person be allowed to stay? Will a researcher wait for a month to get an appointment, then be asked to leave when his two hours are up? Two hours is hardly worth the drive from anywhere in metro Atlanta, certainly not from other areas of the state. How many professionals will default on contracts because they cannot meet deadlines or complete work at all? A great many research requests actually come from state government. It is not an unreasonable assumption that those requests will have priority. How will that impact the ability of the private citizen to get an appointment? Pointing fingers of blame is not a useful exercise, and there is plenty to go around – even to the citizens of Georgia. Great numbers of Georgians responded quickly, purposefully and commendably to Secretary Kemp’s fateful announcement on Sept. 13. During the last three years, however, as the staff and hours shrunk, only a few diehards haunted the capitol. Ironically, at a well-attended ceremony last week Gov. Nathan Deal proclaimed October Archives Month in Georgia. He delighted the crowd of supporters with the announcement that he would find the money to keep the Archives open. The announcement made the Governor the hero (for the moment, at least) and had to have chafed the Secretary of State, who has been taking considerable heat on this issue. Many assume that the Archives has been “saved” and the battle is over. But, what exactly, does the Governor have in mind? Will he find enough emergency stop-gap funding to keep the Archives open and make it possible for Secretary Kemp to reinstate the seven employees? Will he keep the Archives open, but with only three employees? Archives employees serve at the pleasure of the Secretary of State. The Secretary is a constitutional officer, not an employee of the Governor. Will the Governor figure a way to re-work the budget he submits to the legislature, thereby allowing the Archives to close and re-open next spring? If the Nov. 1 deadline passes with no resolution, the seven will be gone. Even if a way is found to save those valuable employees, many of them are likely to leave before then. This would result in a tremendous loss of institutional knowledge. It would take new-hires, even qualified archivists, many years to learn the collection well enough to be effective. If the Archives closes, Georgia will the only state without public access hours. Even if service remains the same, Georgia will have the fewest hours of any archives in the nation. Secretary Kemp opted to take all of the mandated three percent cut from the Archives, instead of spreading the grief to all of his divisions. The Archives needs a relatively small amount – $730,000 – to maintain the current level of service. That amounts to a little more than 13 cents for every Georgia citizen. Just like Georgia families, the government must prioritize expenditures. Finding $730,000 certainly won’t move the Archives to the top of the state spending list. But it will be enough to tide over this important agency – perhaps until the state’s economic picture improves. The future of the Archives remains uncertain. Advocates need to hold Gov. Deal to his promise. They need to urge Secretary Kemp to keep the seven, at least until after the legislative session, and contact their local legislators to express their support for a reasonable funding solution. So this was fun …. We were on vacation a couple of weeks ago in the Outer Banks of North Carolina – Duck, to be specific. We’re always reluctant to leave the house when we are there, because … I don’t know … the waves or the gulls or the sea oats might do something spectacular. You have to watch them every second. Anyway, we were on one of our rare jaunts into Duck and stopped at a favorite gourmet food and wine shop, Tommy’s. If you know Tommy’s, you know why we go there. If you don’t know Tommy’s, go there. It was Tasting Tuesday at Tommy’s [don’t you love alliteration? ], and we were making the rounds, tasting all the free snacks and goodies we could get our hands on. We tasted hand-made chocolates (bought some), homemade pound cake (bought some), kettle corn (bought some) … you get the idea, right? This is why Tommy’s has Tasting Tuesdays. Mr. and Mrs. Tommy are smart folks. We only went in for scallops – I swear. That’s all we needed … scallops. Now, for you non-cousin readers, you may not know why these are significant. 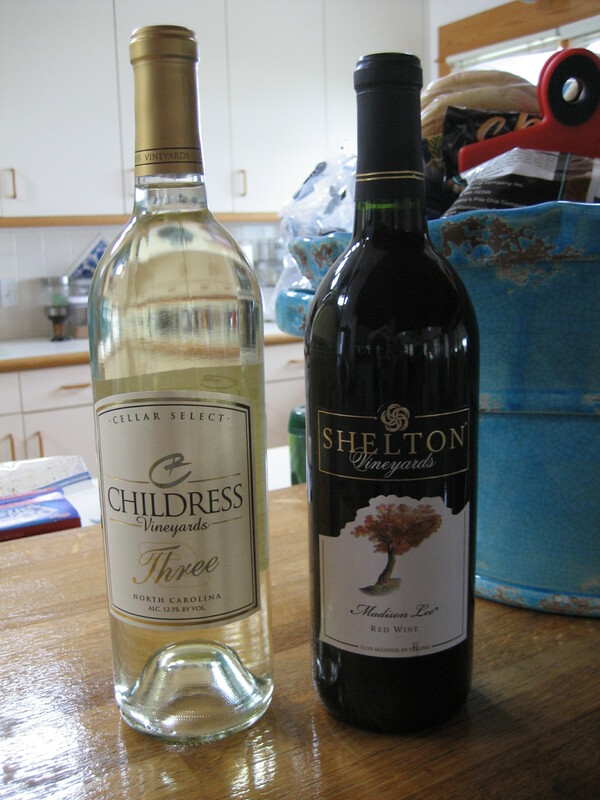 So let me tell you … Shelton and Childress are family names to me. My mother’s maiden name is Shelton, and my father’s mother’s maiden name was Childress. And there they were, sitting on the shelf, right next to each other. I know what you’re thinking … did you buy them? You bet we did ! I have no idea if I am related to Charlie, Ed, or Richard … but you can bet I’m going to try to figure it out. In the meantime, I’m going to drink some nice wine, and wish I was back in Duck. I *always* wish I was back in Duck. Why doesn’t anyone write interesting obituaries anymore? Why can’t they sound more like this one? The Pale horse and his rider visited the Cowenshannock Congregation and took away from our dear Brother Martin his companion in life, and our much esteemed Sister Esther John, who was born October 11th 1828. Fell asleep in Jesus March 7, 1894. Aged 66 years 4 months and 26 days. Sister John had been intermarried with Hawk, raised a family of 14 children one of which preceded her to the spirit world. She left a dear husband, thirteen children, seventy six grand and three great grand chidren to mourn their loss which we believe is her eternal gain. Sister John had been a consistant member of the Cumberland Presbyterian Church for a period of between 45 and 50 years, but about two years ago I had the pleasure of baptizing Sister John who up to the time of her departure to rest was a very consistant member of the Brethren church. One of the sons informed the writer that for many years she kept family worship in her house. We believe that she had her house set in order. May all her children follow her Christian example, and be prepared to meet their mother in the haven of eternal rest and join with her in singing the song of redeeming love. The memorial sermon was Preached by the writer from the language of the apostle Paul 1st Cor.iii, 22, 23 on the 10th of March 1894. May the God of all peace sanctify this providence to the good of all who may learn of it and especially to the bereaved, “Be ye also ready.” J.B. Wampler Blanco, Pa. I think I’m a little bit afraid of her. But back to obituaries . . . . “The pale horse and his rider” . . . “fell asleep in Jesus” . . . “had her house set in order” . . . “haven of eternal rest” . . . “singing the song of redeeming love” . . . . Please don’t think I’m mocking this obituary, or the obvious faith of Esther and the folks who memorialized her. You can count me among the believers. My point here is that obituaries now are so cut-and-dried, so boring, so name-name-name-date-date-place-place-church-cemetery-the end. It wouldn’t surprise me if there’s an app for that . . . . I have no idea what will be included in my own obituary. All the obvious information, sure – husband, parents, siblings, nieces, nephews, church, cemetery. And anyone who finds me in 3012 will know nothing important, except that I lived. Who do I have to pay to end my obituary with “Be ye also ready!” ???? Disclaimer: I am not related to Esther (John) Hawk. She is the great-great-grandmother of one of my dearest friends. This obituary and the photo were attached to the tree of another researcher on Ancestry.com. The obituary originally appeared in an unknown newspaper, and was credited as having been given to Carol K. Fisher O’Melia (great-great-grandaughter of Esther John Hawk and David Hawk) by Robert William Hawk, who received it from Edward Tiger.